Here at CMEC we offer a variety of lessons to suit your personal preferences. CMEC can accommodate anyone from beginners through advanced, and everyone in between. 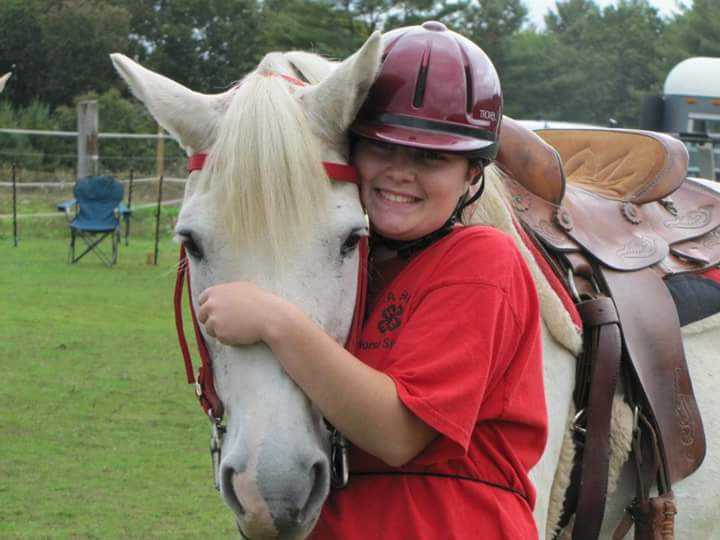 Whether you are looking for pleasure riding or showing, we've got the right instructor for you. Please feel free to call and set up a time to take a lesson with us, adults and children alike! Britney and Beau, best of friends! 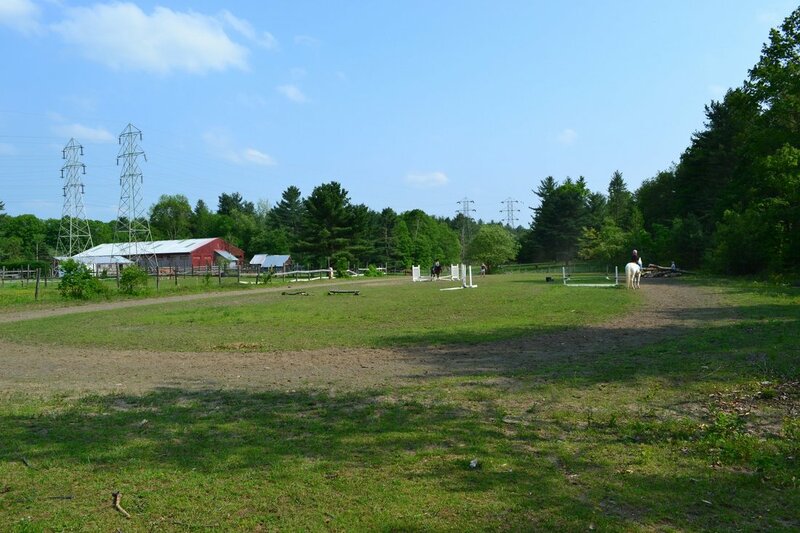 The outdoor jumping arena, a short walk from the main barn. Two of our lesson students practicing their horsemanship skills by cleaning tack.